Titan is, so far, the second known object in the Solar System [aside from Earth] that has a steady supply of liquid at its surface. 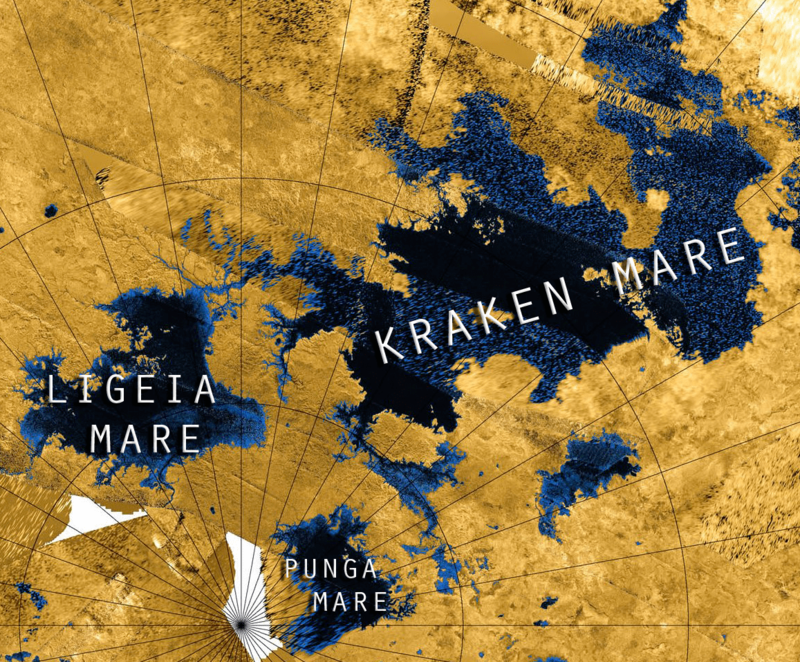 What makes it more unique though is that the river, lakes, and seas of Titan are composed of liquid methane and ethane instead of water on Earth. Scientists one day hopes to send a submarine to study the complexity below the moon’s hydrocarbon seas, but going there is a huge challenge for scientist and so it requires some in-house testings to assure a successful mission. 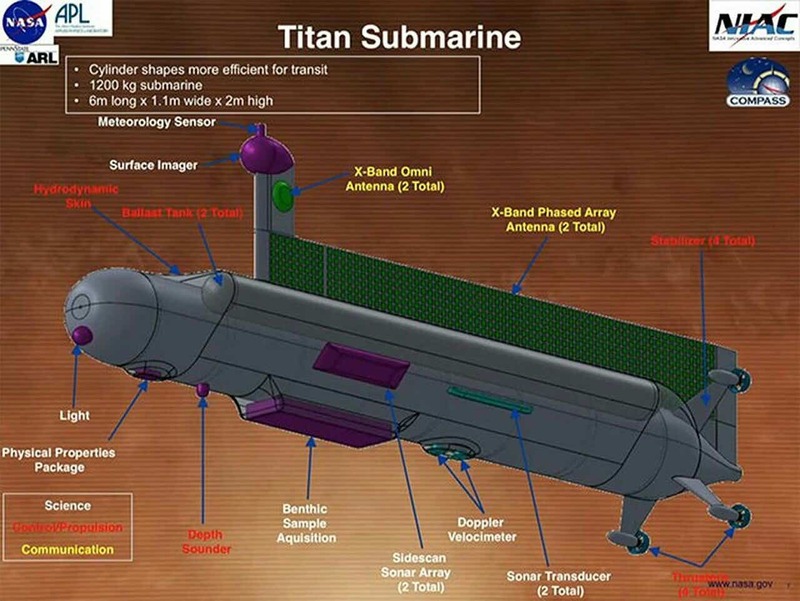 Now, scientists from NASA and Washington State University have recreated Titan’s methane-ethane ocean in the laboratory to test out NASA’s proposed submarines that will soon plunge down on one of Titan’s lakes. While it is relatively simple to build a surface that resembles those of the Martian grounds, it is such a dare for scientists to recreate those liquid bodies on Titan. These liquids that make up the fluid reservoir on Titan is composed of a complex mixture of methane and ethane that can get as cold as -300°F (-184°C). To carry out the early simulations, Scientists from NASA turned to Washington State University’s cryogenic lab to help design and build the special test chamber. The recreated environment housed a full tank of an extremely cold mix of methane and ethane pressurized to 60lb per sq in. To see what is exactly happening inside the test chamber, scientists used a video camera and borescope to observed the methane-ethane rain and snow similar to those in the Titan. 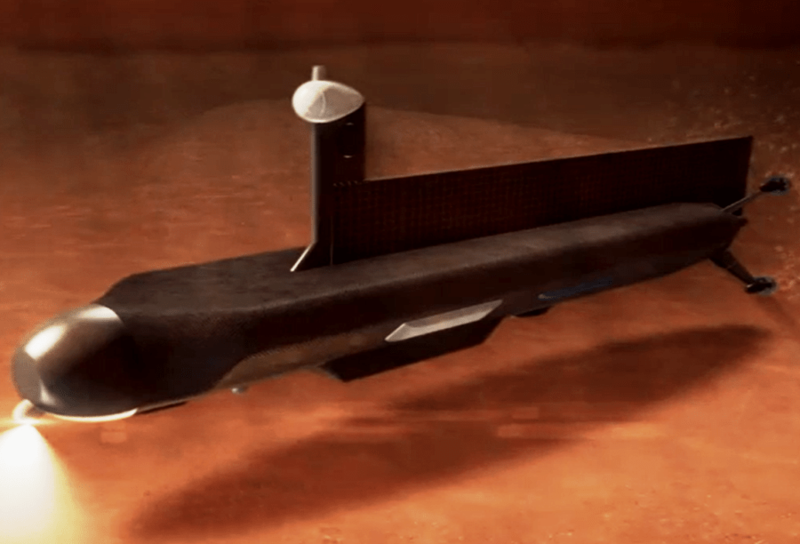 Scientists also built a small cylindrical cartridge heater in the tank to simulate the same heat the future interplanetary submarine will give off. These heat creates nitrogen bubbles, which if produced too much could cloud the view of the submarine or knock it off balance. “My research just took a right turn, and I went with it,” said Ian Richardson, a former graduate student in the School of Mechanical and Materials Engineering who worked on the effort.